Not for profits are “bitterly disappointed” at the decision by the New South Wales Government to reverse the statewide ban on greyhound racing. NSW Premier Mike Baird announced on Tuesday that the government would give greyhound racing “one final chance” under a new regime that promises “the strictest regulations that exist anywhere in the country”. In an about-face, which comes just three months after the ban was first announced, Baird declared he had “got it wrong”. “It’s clear the community agrees that the cruelty must end, but we underestimated the community’s desire to give the greyhound industry one last chance to reform and conform to the highest standards of animal welfare,” Baird said. Deputy premier Troy Grant said the government had listened to the views of regional communities involved in greyhound racing. “Regional communities value the greyhound industry and we’ve heard loud and clear that they believe it deserves another chance,” Grant said. However the government is now facing backlash over the decision with thousands of people taking to the premier’s Facebook page on Tuesday to express their anger, with some calling him “spineless” and “a disgrace”. World Animal Protection head of campaigns in Australia Nicola Beynon said, on behalf of the greyhounds in NSW, they were “bitterly disappointed” with the announcement. “Premier Mike Baird’s original decision to ban greyhound racing was morally motivated given the overwhelming evidence of systemic cruelty presented by the Special Commission. Today’s decision to reverse the greyhound racing ban is politically motivated,” Beynon said. “The greyhound industry has had the opportunity to reform in the past and failed miserably to do so. “The Special Commission of Inquiry report highlighted brutal animal welfare practices including high rates of injury, widespread live baiting and mass killing of healthy dogs. “The key changes proposed by the greyhound industry fail to protect thousands of racing greyhounds from injury. The animal protection institute, Voiceless, called the move to reverse the Greyhound Racing Prohibition Act 2016 “a devastating blow” to progressive politics in Australia. 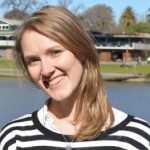 Voiceless head of communications Elise Burgess said the move would do “irreparable political damage” to the NSW premier. “The fact is, the majority of people supported this ban – two out of three according to RSPCA Australia polling statistics – so despite the cheers of victory from those with vested interests, most Australians will be very disappointed with this outcome,” Burgess said. “We now know that live baiting, doping, and the mass slaughter of underperforming greyhounds are so deeply entrenched in the greyhound racing industry that no amount of legislative or policy change can regulate them away. “Just yesterday there were new reports of mass graves of slaughtered greyhounds, evidence of corruption and live baiting by officials, the arrest of a Cabramatta trainer for live baiting and the torture of animals – this industry is not going to change. And why would it? Burgess said the Special Commission Report, which prompted the ban, found that up to 20 per cent of trainers in NSW engaged in live baiting. “The report also found that almost 500 greyhounds sustained major or fatal injuries during races each year, and that up to 68,000 healthy animals have been treated as ‘wastage’ in NSW alone,” Burgess said. “Despite having years to clean up its act, to eliminate the ingrained cruelty and redeem itself, evidence of abuse is still being reported in 2016. “To put it plainly, this industry cannot change its ways. Another industry commitment, more meaningless regulations, will not result in reform. The culture of cruelty is just too systemic, and the ‘wastage’ unavoidable. Meanwhile Baird has announced former Labor premier Morris Iemma will chair a Greyhound Industry Reform Panel to advise government on the shape of a new regime, which will include mandatory life bans as well as increased jail terms for live baiting. The RSPCA, and industry and government representatives have been invited to join the five-person panel. Subject to the panel’s recommendations, legislation would be introduced early in 2017 to repeal the ban and deliver the new regime.